Once you reach the point of finding ancestors who were adults during the 1860s, you surely will want to check if the male ancestors served either with the Confederate (The South) or the Federal Union side (The North) and learn as much as possible. There are numerous databases to check. 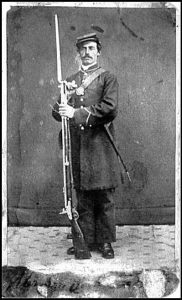 An excellent source is the Civil War Soldier and Sailor Database. This covers individuals, battles, prison camps, cemeteries and regiments. So check here first. However, just getting a better idea of the people and events that occurred during the American Civil War of 1861 to 1865 can set the tone for you in your research. 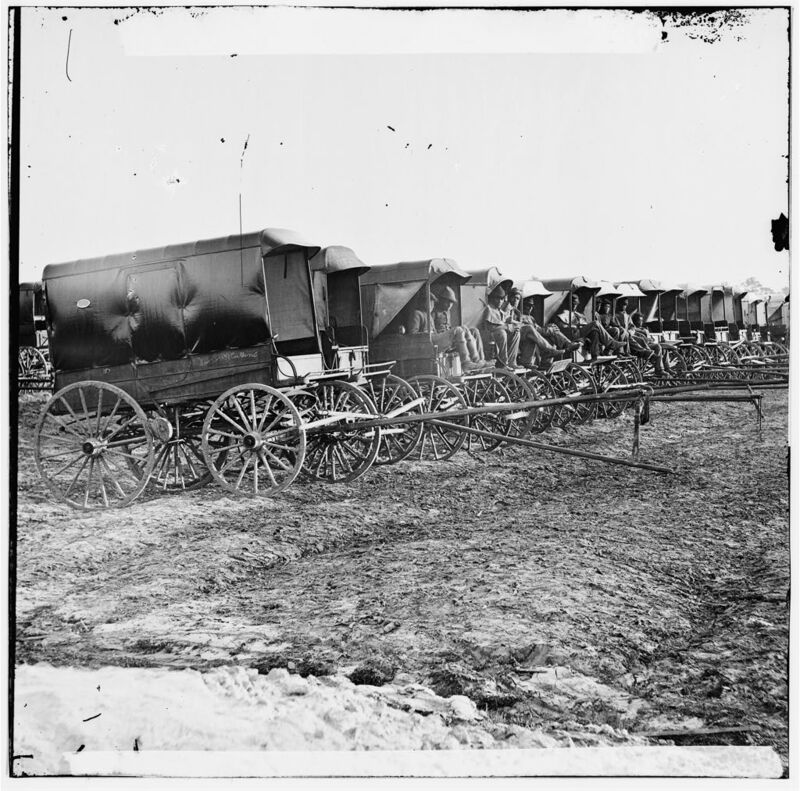 Using the US National Archives with their online Civil War glass negatives is a great starting point. Some 8,720 images are online with the archives. Many are labeled and dated, including the well-known military and governmental personnel involved in the war. However, finding a soldier or officer who served from the same state or even unit really provides a greater understand of that ancestor’s background. So you might not know the unit a relative served with, but most of the time they did serve with a home state military group. On the site to the left is a listing of locations for all the United States followed by states, cities, regions, battlefields and locations (Gettysburg, Vicksburg), etc. If you find a photo of interest, click on it to enlarge and scroll down that page for more known details of the place or person. That image can then be right-clicked to save on your computer. Place the known information with the photo also. 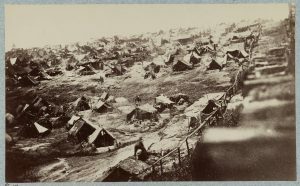 It can be quite enlightening to view these images of the camps, battles and even the individual soldiers. Especially exciting if a portrait is located of one of your ancestors. 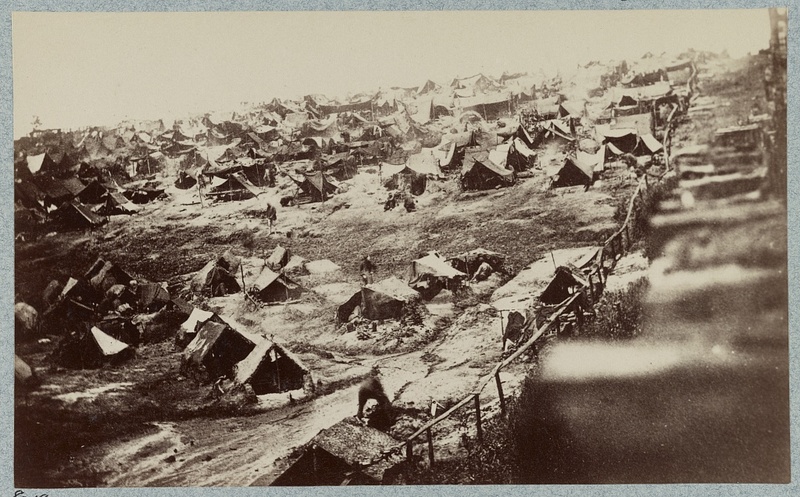 Photos: Andersonville Prison, Ga., August 17, 1864. 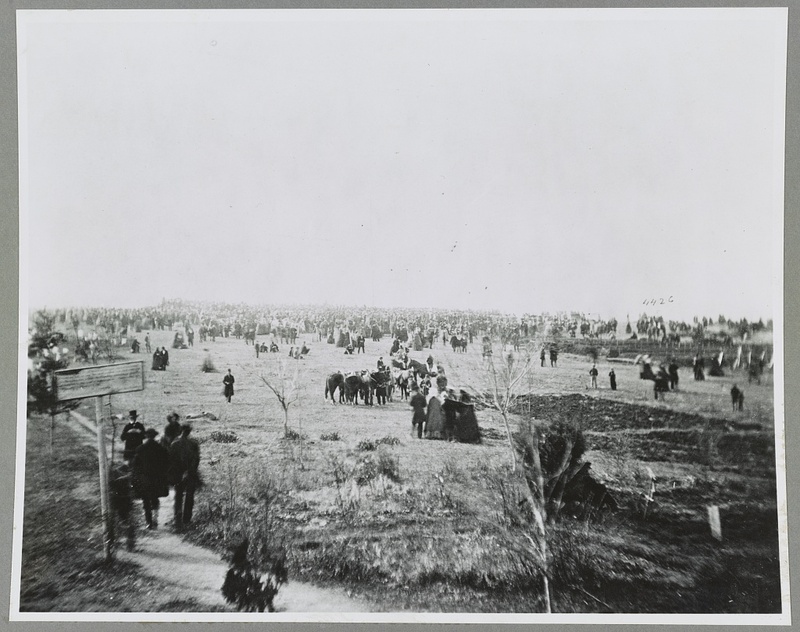 Southwest view of stockade showing the dead-line; November 1863. 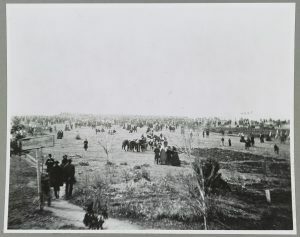 Dedication of Gettysburg battlefield; 1863 – Portrait of Pvt. Ira Fish, 150th New York Infantry (wounded at Gettysburg); Virginia, City Point. 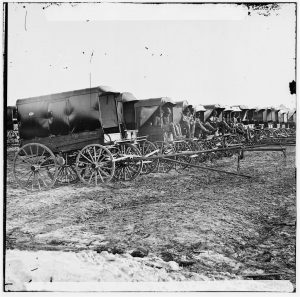 Park of Army Wagons in July 1863.